It’s Friday, the last practice before the Denver Broncos on Sunday afternoon, and the Giants have released their latest depth chart. It’s official, Mark Herzlich will be the starting middle linebacker against the Broncos. It’s been a long journey for Herzlich, and this is a testament to how hard he’s worked. Giants Gab congratulates him. This is concerning for a couple of reasons. He is slow to the ball carrier, he gets lost in space, and he’s is not a physically imposing LB — so he often gets swallowed up and pushed backwards in tackling. 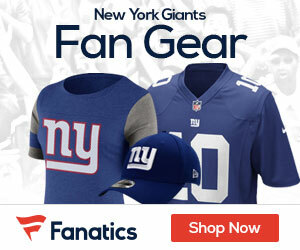 It may not matter much as the Giants Defensive plan could be to opt for their nickel package instead with the 2 LB combo of Jacquian Williams and Spencer Paysinger. This would be a smart way to go to combat the Broncos receiving threats, and as much as I’m happy for Herzlich, the reality is he’s totally unproven and may not be quite up to the task. We’ll see on Sunday as we like to say, but it’s a bitter sweet development in the wake of Dan Connor getting placed on IR.